Andrew Scott (Drew) MacLean was born in Jacksonville, Florida on December 20, 1985 to parents Scott and Marcia MacLean. Shortly thereafter, he, along with his parents and brother, Marc, moved to Bay County, Florida where they planted their roots. From an early age, Drew proved to be an exceptional student and a standout athlete. Drew was one of those people who was not just good, but great at everything he did. He went on to win numerous academic awards for his performance in the classroom as well as accolades for his accomplishments on the field...particularly football and baseball. Drew attended Mosley High School where he participated in the Advanced Placement college preparation program while also balancing time between baseball and football. During Drew's senior year, he led the district in batting average throughout the baseball season and was elected captain of the football team where he played on the offensive line. Drew was Mosley's first ever recipient of the Florida High School Athletic Association's Academic All-State Team in 2004. That same year, he was chosen by the student body to be the Prom King and was picked to represent the class of 2004 in the Mosley Hall of Fame. After turning down a preferred walk-on spot to play offensive line at Vanderbilt University, Drew decided to join his brother and friends at the University of Florida where he joined the Gators as a walk-on. However, due to a broken bone in his wrist from baseball, Drew was not cleared to participate in football activities during his freshman year and decided to focus his full attention on school. Drew graduated with his degree in Civil Engineering and moved back to Bay County where he started his career with Hatch Mott MacDonald engineering company. During his time at UF, Drew also began dating his high school crush, Allison Husfelt, and immediately fell in love. Shortly after graduation, Drew and Allison married in May of 2010. To say they thrived as a couple would be an understatement. Their marriage was a model for other young (and old) couples to emulate. Early in 2012, Drew and Allison proudly announced that they were expecting their first child, a daughter named Ruby Lynn MacLean. 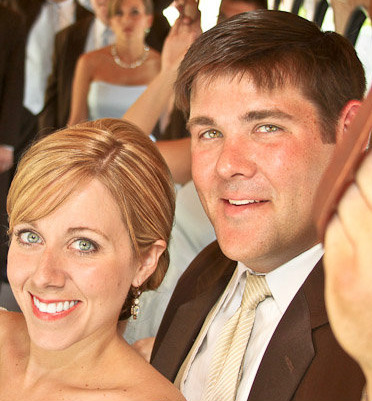 While traveling home from a family vacation on June 25, 2012, Drew and Allison (who was 7 and a half months pregnant at the time) encountered some bad weather and Drew's truck hydroplaned and struck a tree. Luckily, Allison and baby Ruby were without significant injury, but Drew went on to be with his Heavenly Father that day. Drew MacLean is one of the most decent human beings to have walked this earth. He is loved, respected, and remembered for his genuine kindness and team-player attitude. Thanks to daily reminders from his father, Drew knew that anyone could be a follower, but it took someone special to be a leader. Drew's definition of leadership was someone who always did the right thing, regardless of who was watching and without the need for reward or recognition...and he practiced what he preached. He never met a stranger. Believing that God has a purpose for each life, Drew made it a point to make others feel valued and cherished as individuals. Drew made it his life mission to help those in need and brighten someone's day in any way he could. The Live Like Drew Foundation was established to spur others on this same way of living. We are all so grateful for the legacy and example that Drew left behind.